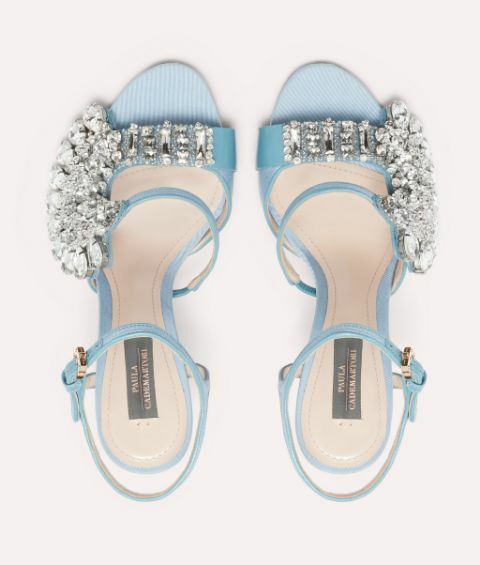 Paula Cademartori creates works of art that combine elegance with expression and this version of the Blossom stiletto sandals embody the essence. 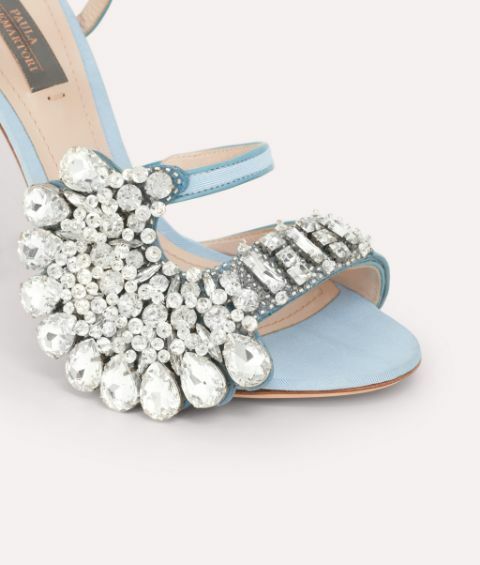 Masterfully made from satin-twill trimmed in sleek leather, this bluebell-hued pair is exquisitely adorned with faceted crystals for showstopping appeal. Whether you showcase them with a fluttering gown or cropped, contemporary trousers, they're sure to be a talking point.